The 2019 Honda Passport is a five-passenger mid-size SUV that fills a gap between the automaker's popular small CR-V and larger Pilot. Set to compete against rivals like the Chevrolet Blazer, Ford Edge and Jeep Grand Cherokee, the Passport employs a rugged, off-road-themed approach to life — even if most of any Passport's driving time will likely be spent commuting, running errands, and toting luggage to and from the airport. Hey, even if you never intend to do serious off-roading, it's fun to at least look the part, right? If you're in the market for something with serious rock-crawling capability — like a Jeep Wrangler or Toyota 4Runner — the Passport is not your ticket. While it's capable of tackling snow, gravel and moderately muddy trails, this Honda is ultimately more at home on the highway, not the Rubicon Trail. 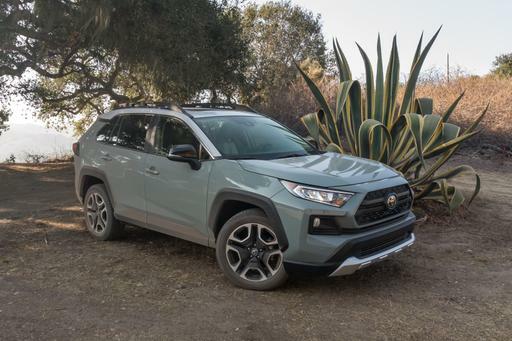 That's not to suggest you should take a pass on the Passport, however, as many SUV buyers are more interested in horsepower (there's plenty here), interior comfort and cargo space (ditto), and safety features. To the latter point, the Passport comes standard with many safety systems that cost significantly more on its direct rivals. Cars.com reviewer Brian Wong took the new Passport out for testing to see how it distinguishes itself from other Honda vehicles, not to mention a growing pack of worthy SUV alternatives. The Passport shined in many respects both on- and off-road, though there were a few things that stood out as needing improvement. 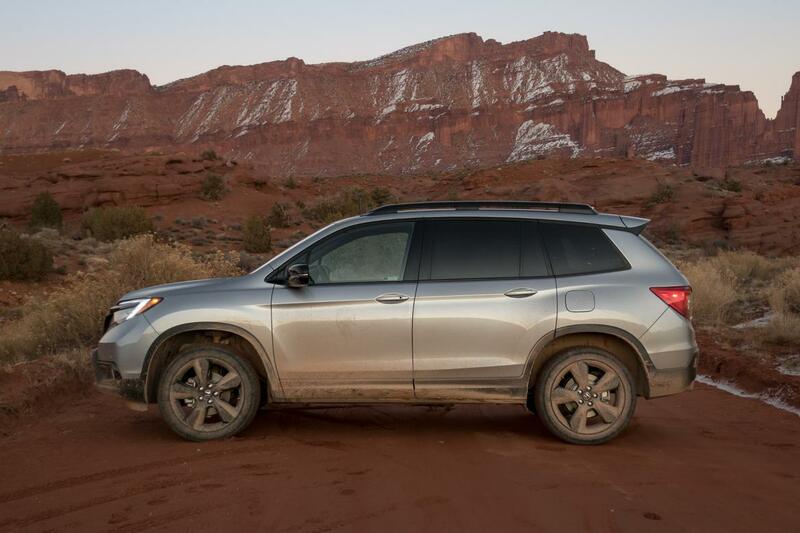 Be sure to check out his complete review of the 2019 Honda Passport above, and don't forget to visit our model page for additional specs and pricing information. 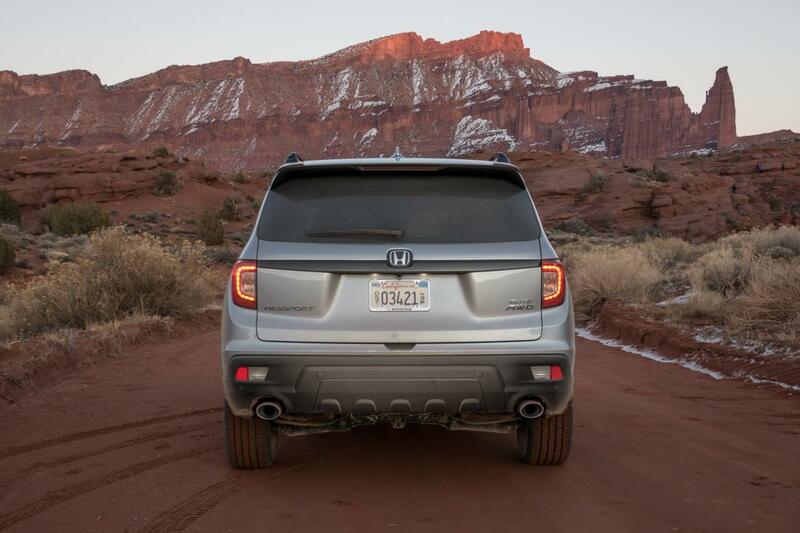 The Passport shares its platform and powertrain with the larger, three-row Honda Pilot. These two SUVs ride on the same 111-inch wheelbase, though the Passport is 6 inches shorter than the Pilot. The bulk of lost length is due to the Passport's truncated tail end, which doesn't need to accommodate a third-row seat. The smaller dimensions make the Passport feel more agile and easier to park in tight confines. 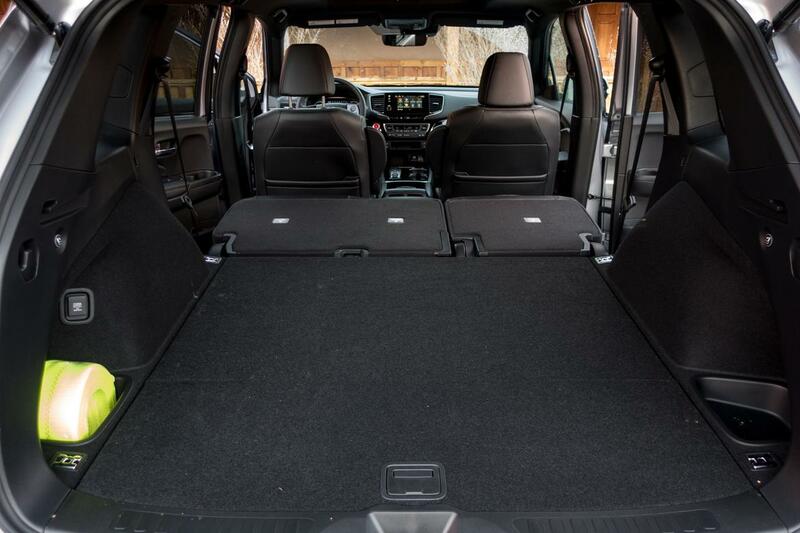 Honda is on a roll when it comes to offering SUVs with tons of cargo room. The smaller CR-V is already one of the best in the business when it comes to trunk capacity, and the larger Passport continues this tradition. Behind the second-row seatback is 41.2 cubic feet of space. Fold the second row down and this expands to about 78 cubic feet in total. 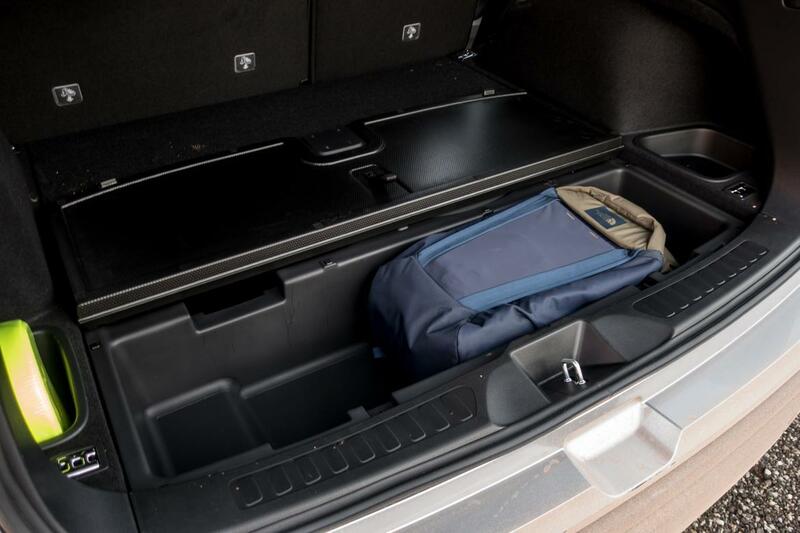 Even better, as Wong points out in his review, is the "giant opening" the rear hatch provides when loading up. The Honda Passport has a secret, and Wong is a fan. Beneath the rear cargo floor is a large storage bin that's separated into two cubbies; Wong found the larger of the two easily accommodated his backpack. This is perfect for items you want to keep from prying eyes or, perhaps, those that might dirty the interior and carpet. Muddy hiking boots? Toss 'em in this handy bin! Children throwing a temper tantrum? Well ... they'll have to remain in their properly installed child-safety seat, but you get the point. The Honda Passport comes with a long list of standard safety equipment. 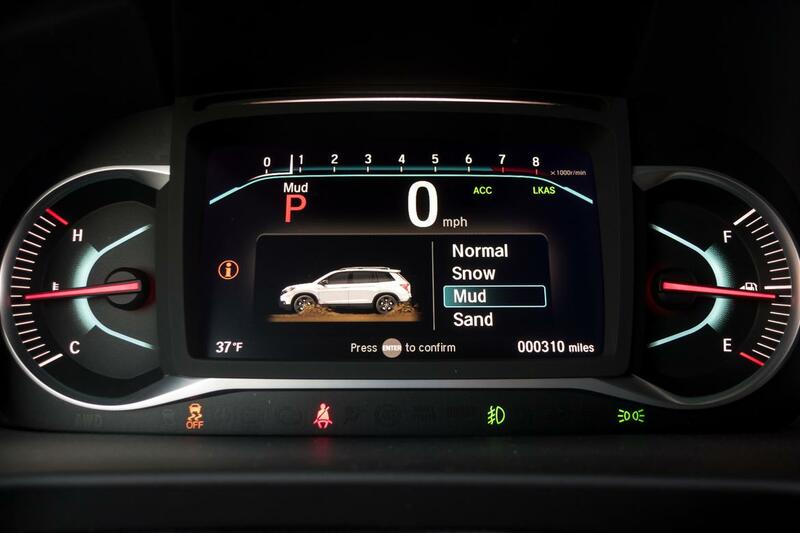 This includes features like automatic emergency braking, forward collision warning, lane keep assist, lane departure warning, a multi-angle backup camera, adaptive cruise control and lane departure mitigation. As Wong mentions in his review, these features cost significantly more when adding them to many rivals or become available only on higher trim levels. The Passport shares a 280-horsepower, 3.5-liter V-6 engine and nine-speed automatic transmission with the Honda Pilot. 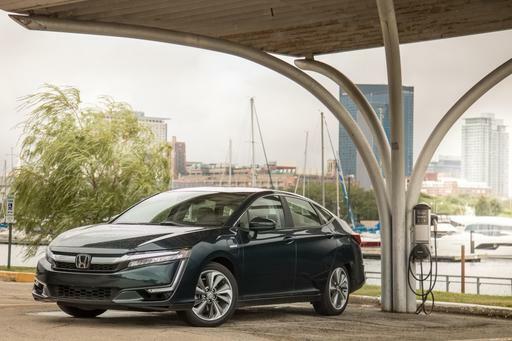 In some respects, the powertrain is very much a known quantity, yet Honda engineers reprogrammed the engine software to provide sharper and more direct throttle response. In other words, the Passport is quicker to spring into action when you stomp on the gas — something Wong found missing from the Pilot. The handling has also been reworked for quicker inputs, with the result being a nimbler feel when in the driver's seat. Honda isn't skimping when it comes to torque vectoring. The Passport has torque-vectoring hardware that's the real deal: In corners, torque is transferred side to side between the car's left and right rear wheels. In many rivals, this behavior is done using brake application, a cost-saving maneuver that doesn't have the same degree of positive influence on handling and cornering. There are several off-road drive modes to choose in the Passport. The all-wheel-drive system can be shifted from the normal drive mode into Snow, Mud and Sand. These adjust the throttle response and transmission shift points to match the surface you're driving on. For example, Snow mode equals a softer throttle and launches that start in 2nd gear to limit wheelspin. In addition, the Honda Passport is slightly higher off the ground than the Pilot, with the AWD variant riding 0.8 inch higher than its larger SUV sibling. 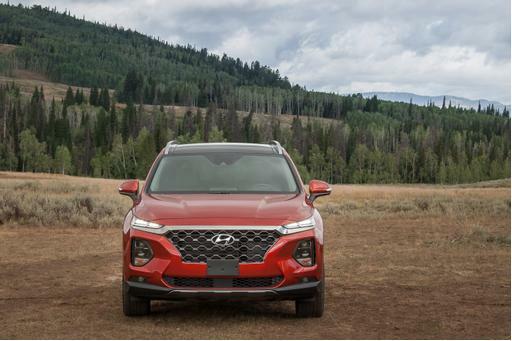 This provides extra clearance for modest off-road challenges and, as Wong discovered, gives the high-riding Passport the feel of a more traditional SUV. Many car shoppers will enjoy this. 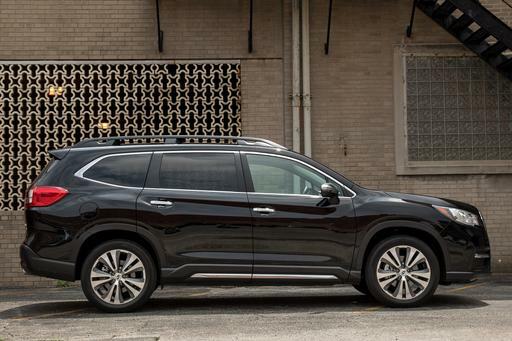 The Honda Passport isn't just kind to your cargo, this mid-size SUV is a comfortable and roomy place for human occupants, too. There is loads of stretch-out room for those in the front and second row. 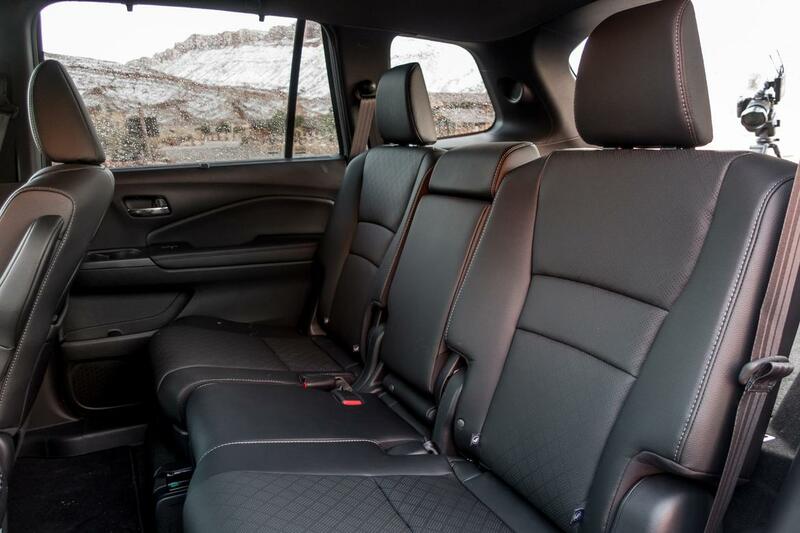 Granted, you lose the option of seating more people by not having a third-row seat, but as we discovered during our time with the Pilot, the rearmost seating position offered in the larger Honda SUV left adult passengers with their legs uncomfortably scrunched upward. 2019 Honda Passport: All New or Anything But? A Jeep Wrangler Unlimited or Toyota 4Runner, this is not. The Honda Passport does a fine job traversing gravel trails and muddy ruts, but it would be out of its depth if you need to cross major off-road obstacles. Honda's marketing effort pushes the SUV's outdoorsy appeal, but there are some limitations. The relative lack of suspension travel and MIA all-terrain tires are items Wong noted would limit the Passport's off-road prowess. The cabin is comfortable, but the dashboard has some fussy controls and irritating buttons. Touch-sensitive infotainment controls sometimes got in the way of enjoying all this Honda SUV has to offer in terms of onboard tech. Again, depending on your needs, this "con" could be a "pro." The Passport doesn't offer a third row, but cargo and passenger space are abundant. For some SUV shoppers, however, those extra seating positions are essential, even with the limitations we found in the larger Pilot. Honda has a great reputation for engineering cars that are impressively fuel-efficient. That's not a strong the Passport's strong suit, unfortunately: The EPA-estimated economy figures are only mid-pack in a crowded field. The Passport in front-wheel-drive format returns 20/25/22 mpg city/highway/combined; the AWD model delivers 19/24/21 mpg. 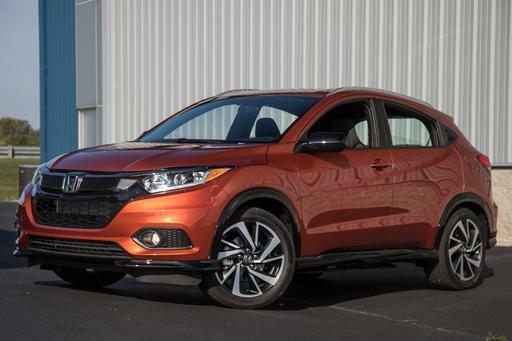 When you compare the base Pilot to the base Passport, it's the larger Honda with more seats that's cheaper. The Pilot LX rings in at $32,495 versus $33,035 for the Passport Sport (both prices include a destination fee). That said, as you move higher up the trim ladder, the pendulum swings back to the Passport. When both SUVs are equipped in range-topping Elite trim, the Pilot ends up costing about $4,300 more than the Passport.